Elizabeth Baird Hardy, author of Milton, Spenser, and the Chronicles of Narnia: Literary Sources for the C.S. Lewis Novels (McFarland 2007), is a Senior Instructor of English at Mayland Community College where she was awarded the 2006 Excellence in Teaching award. She teaches composition and literature courses as well as Myth in Human Culture and classes in Appalachian culture and storytelling. She also guest lectures at other schools, colleges, and universities. 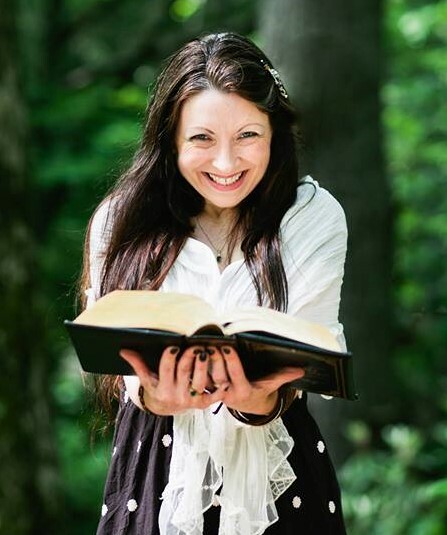 In addition to the works of Lewis, Milton, and Spenser, Hardy’s areas of expertise and interest include Harry Potter, The Hunger Games, and Twilight, though she has a passion for a diverse array of literature and works of popular culture, such as Star Wars and Star Trek. She also specializes in Appalachian Culture and Civil War history, particularly with regards to civilians in the mountains. She works closely with her husband, award-winning Civil War author and historian Michael C. Hardy; along with their children, they frequently serve as interpreters at historic sites, teaching about a variety of eighteenth- and nineteenth-century topics. An engaging and enthusiastic presenter who brings her storytelling experience into her interpretation of literature, Hardy has presented at several national conferences, including C.S. Lewis: the Man and his Work, the Women of Appalachia Conference, the Carolina Mountains Literary Festival, the Witching Hour in Salem, MA, and LeakyCon and Infinitus in Orlando, FL. She delivers literature and history programs and discussions at libraries, schools, and community centers as well, allowing her to encourage the joy of learning and the power of texts when we see them as more than mere words on page. As a storyteller and historic interpreter, Elizabeth Baird Hardy brings to life history, literature, and Appalachian culture for students and audiences of all sizes. She lives with her family on the side of a mountain in western North Carolina where, on a snowy evening, one may just get a glimpse of a faun carrying an umbrella and wrapped packages.
! “Horcruxes in Faeryland: Edmund Spenser’s Influence on Voldemort’s Efforts to Elude Death” inHarry Potter for Nerds (Unlocking Press 2012). Kelly Loomis on Louise’s Pre-Cursed Child Post: Anticipation, Head-scratching, and Curry.